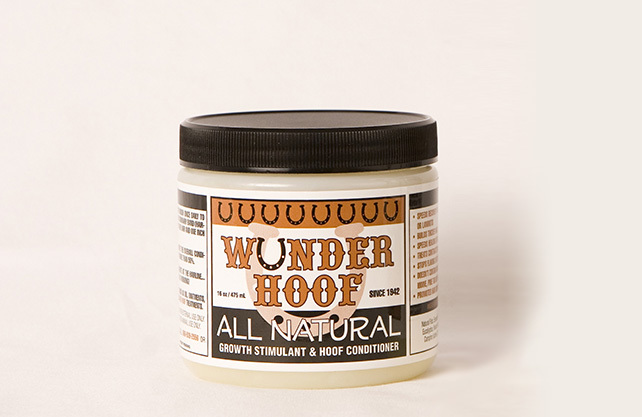 All Natural Wunder Hoof is sensitive to temperature and melts easily. Shake well if product melts and/or separates; this will not inhibit the effectiveness of the product. Store in a cool, dry place for desired consistency. Wunder Hoof is not just for hooves. Wunder Hoof also aids in the treatment of scars, saddle sores, scrapes, scabs, small cuts, and arthritic and sore joints. Wunder Hoof also improves hair growth and repels insects from treatment area.